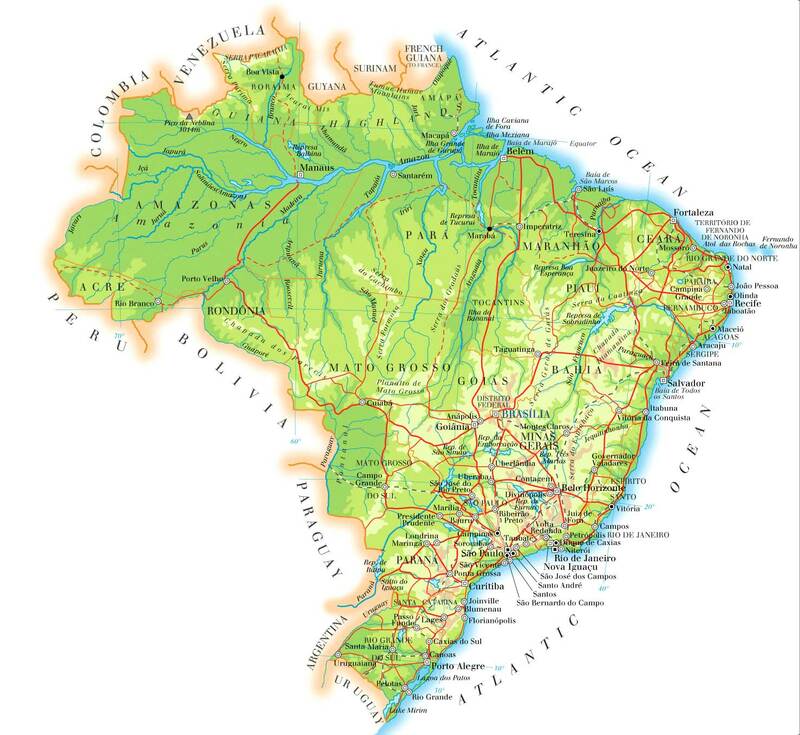 Large map of Brazil with the rivers, cities, states and relief. 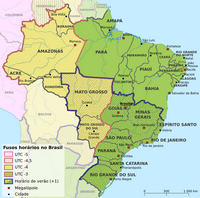 Large map of Brazil with the cities, the capitals of each state, roads and railways. 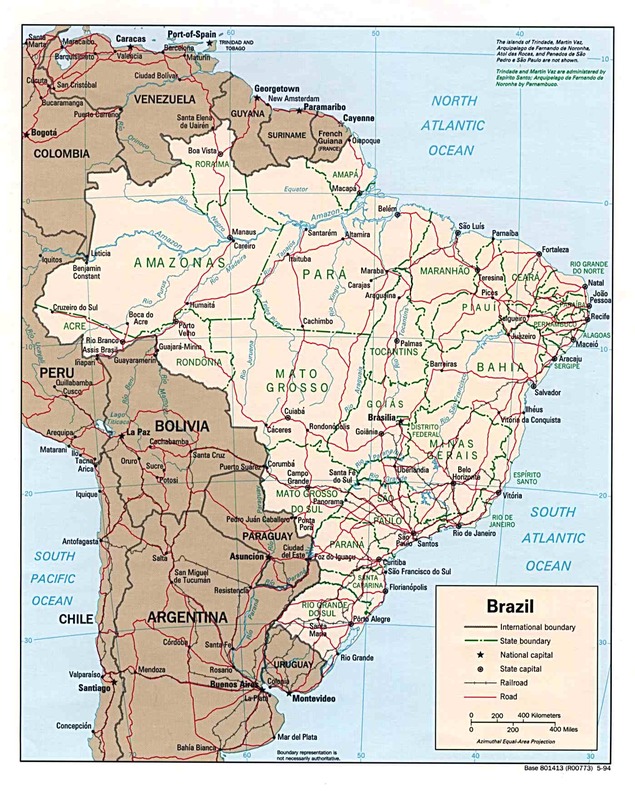 Large map of Brazil with small towns and small rivers. 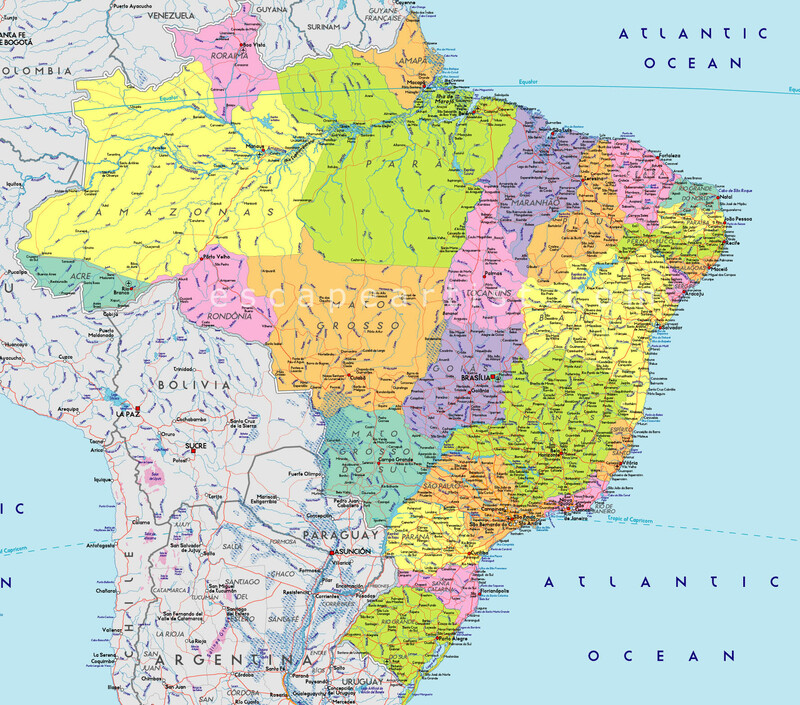 Large map of Brazil with the rivers, cities, neighboring countries and the scale in kilometers. 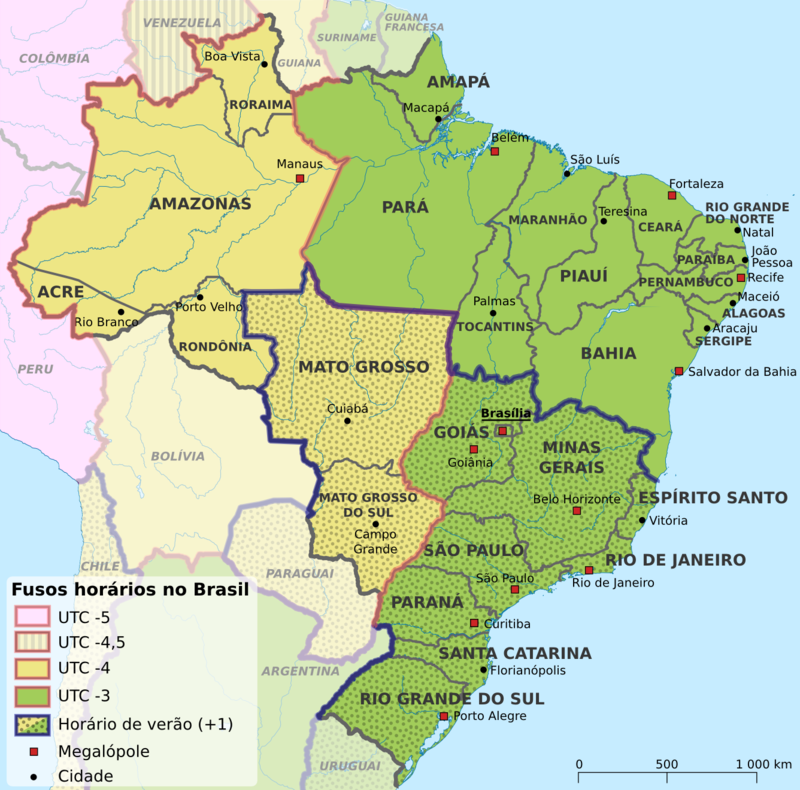 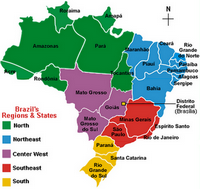 Map of the major regions of Brazil and states of each region. 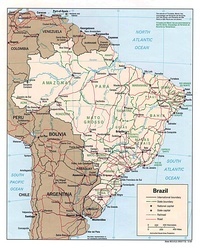 Map horraires cutting time in Brazil. 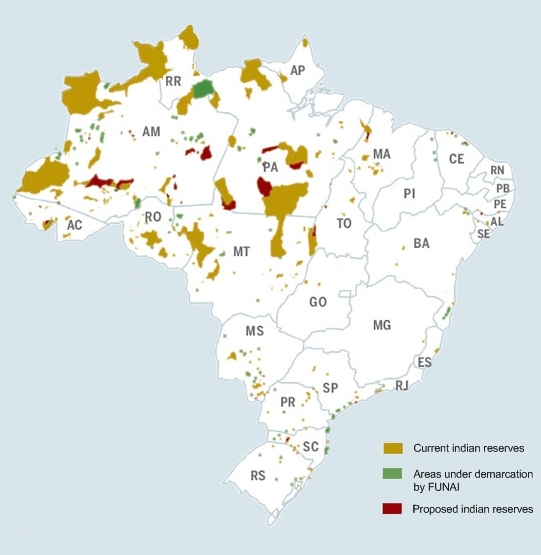 Map of Indian reserves in Brazil. 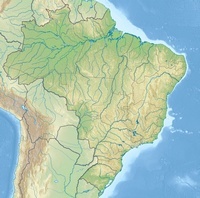 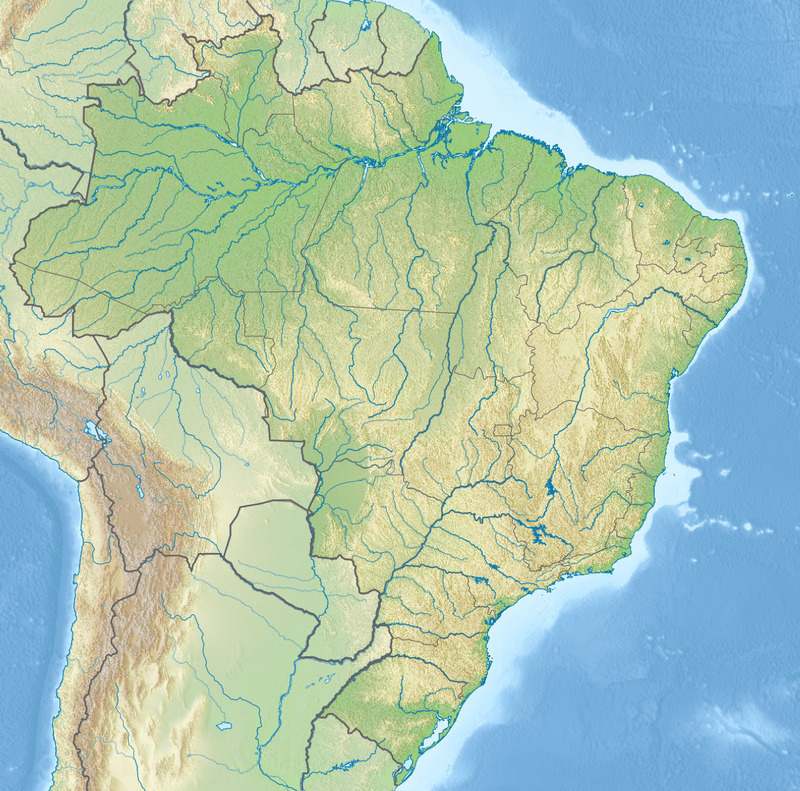 Simple map of Brazil with only rivers, cutting by state and relief.